Treework (a.k.a. arboriculture or tree surgery), is the maintenance of individual or small groups of trees, often in an urban environment. 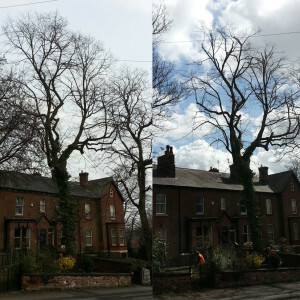 We offer a complete and integrated treework service throughout Greater Manchester and the North West, to commercial and domestic customers. Our existing clients range from private individuals with a single tree in their garden, through to national residential management companies, Local Authorities and the Forestry Commission. 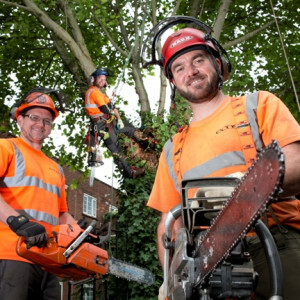 With over a decade experience of high quality, sensitive treework behind us, fully accredited and highly trained arboriculturists (tree surgeons) and unrivalled equipment and machinery resources, we can undertake the full range of operations required by our clients – from the smallest domestic pruning job to the largest woodland management contract or complex dismantling operation with restricted access. 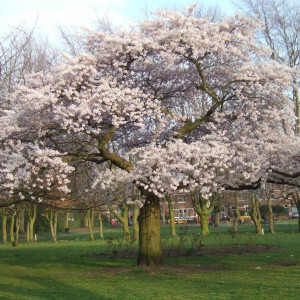 Most trees do eventually need removing, due to sickness or if they represent a hazard. In an urban environment we often need to dismantle trees piece by piece to prevent damage to surrounding trees or property. We own a broad range of specialist rigging equipment and vehicle-mounted cranes, and in addition have experience of working with large mobile cranes. 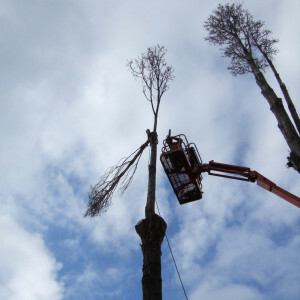 We have a wealth of experience of felling work, having completed large contracts with the Forestry Commission and extensive woodland management works for local authorities within Greater Manchester. 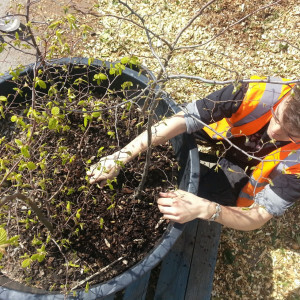 Container-grown and bare-root trees ranging in size from small hedging plants through to semi-mature trees, and from an individual tree to the establishment of a new woodland or landscape feature. We can also transplant semi-mature trees, accompanied by advice on feasibility and best replanting location. We also offer a full aftercare service to ensure that all the plants are cared for in the critical period following (trans)planting. We use non-invasive flexible cable bracing systems where appropriate to support large unions which have the potential to fail. Such bracing techniques may enable the retention of a tree which might otherwise need extensive and expensive pruning works or removal. 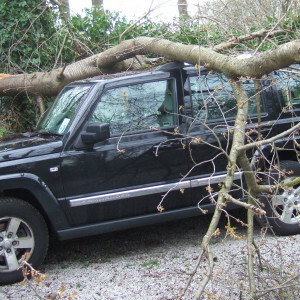 Trees in poor condition and/or severe weather events can result in the failure of trees or parts of a tree, potentially resulting in damage to property, obstructions or further safety hazards. We offer an emergency call-out service for rapid response to these unfortunate eventualities. With in-house crane-equipped vehicles for on and off-road use, large capacity trucks (32 tonnes), plus complex rigging equipment, we are comprehensively equipped to deal with all eventualities. Call Phil direct on 07941 147 206 out of hours. Find out more about the other services we offer, and what we use the arisings for. Contact us now to discuss your enquiry and get a free no obligation quote! Really pleased with your work (have tweeted about it today!) nice people and a very tidy job!